It's been a while since I've posted here, mostly because I only started playing again a month ago. And I didn't feel the urge to update this topic, but the goal still stands so I'll just update this with my latest level up and add my current stats. Will also update the original post with stats that no longer require training. 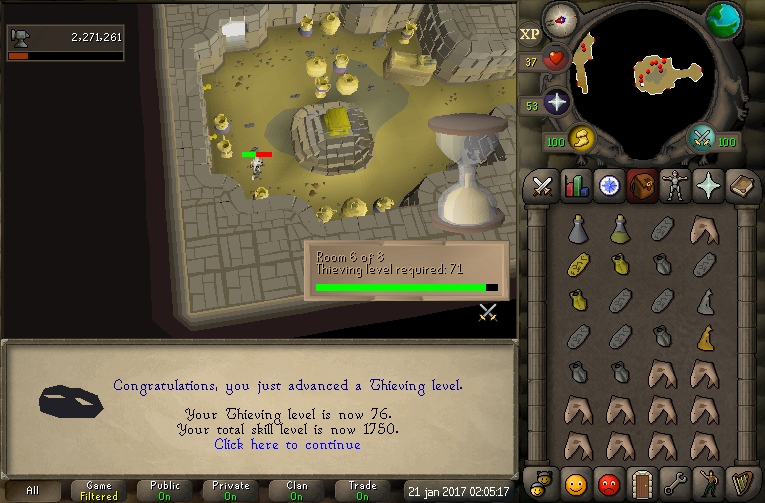 Currently I'm working towards 86 Smithing/77 Thieving/90 Magic to complete my first elite diary, Ardougne, because the perk of unlimited Ardougne farm teleports is something I really need . Gz Klarthe! I saw you a few times afking there nice achievement! Nicely done! 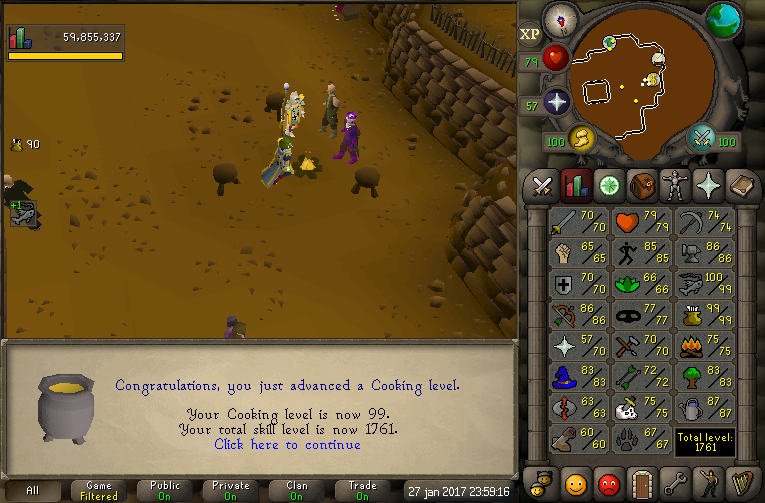 99 fishing is a great achievement and if you got it doing monks... DAMN! Have done a mix of woodcutting, cooking, smithing and thieving. Nice! 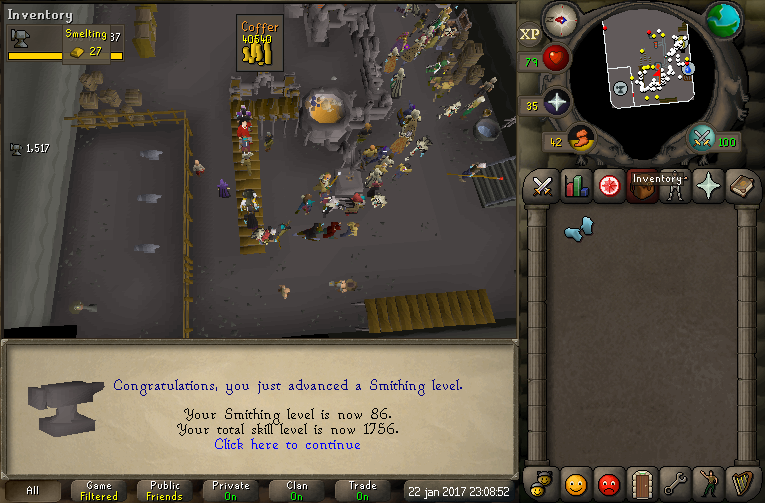 I had the same goal, but decided to get 90 smithing soon because boosting +5 for wildy elite will be a hell Gratz tho! 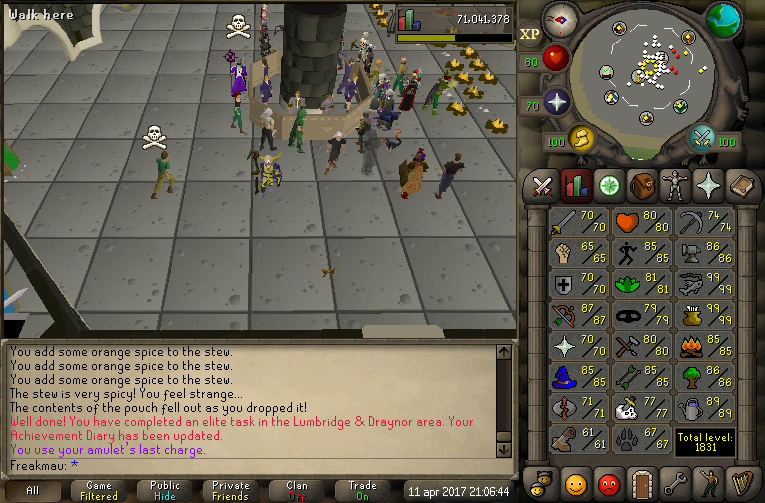 It has been a while, but I completed Ardougne, Lumby/Draynor and Kandarin elite.